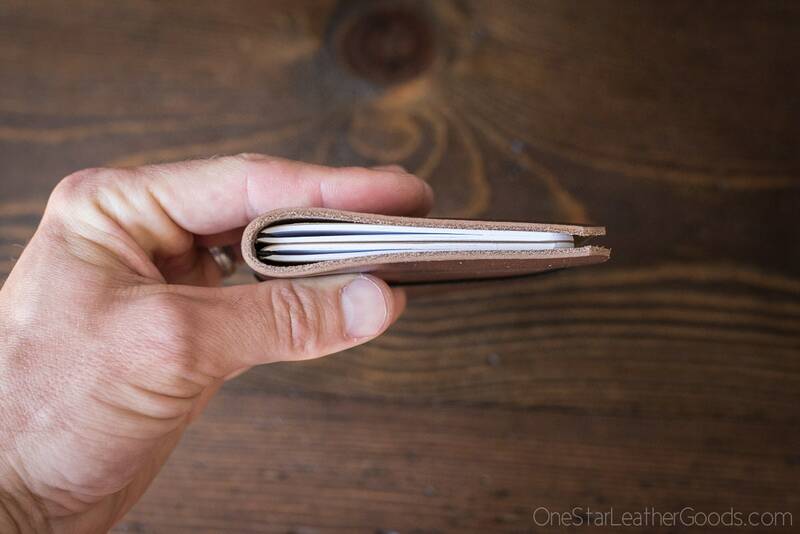 Pocket notebook cover in superior quality leather. 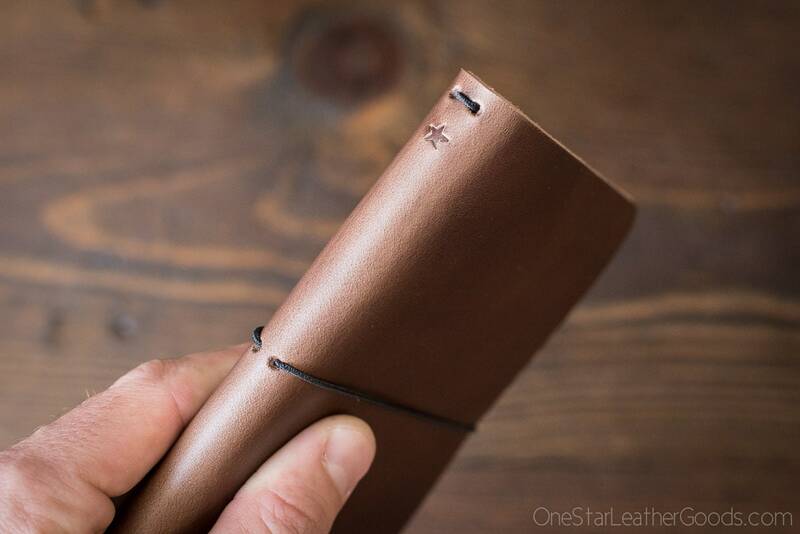 Named to make us all feel a little more like Indiana Jones and inspired by one of Leonardo da Vinci's notebooks that had a simple string closure; there are many takes on this classic out there, and this is ours. 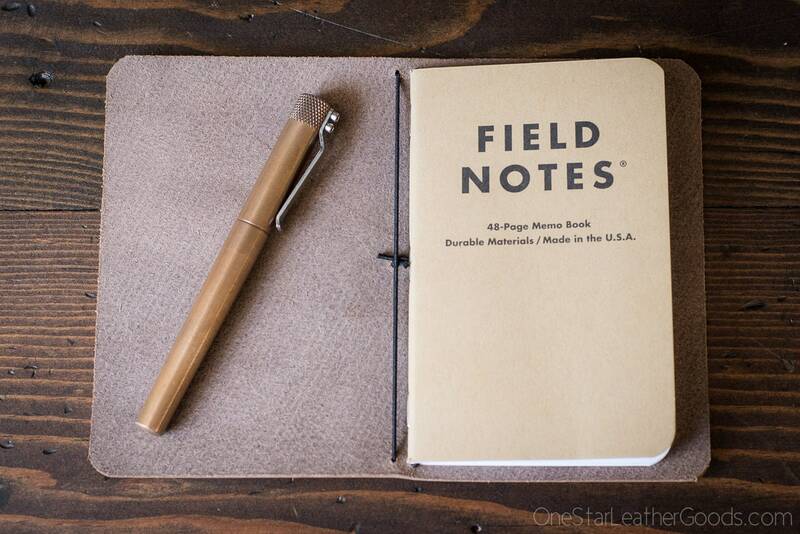 This version accepts just about any 3.5x5.5" softcover notebooks: from Field Notes to Doane Paper to Word Notebooks. 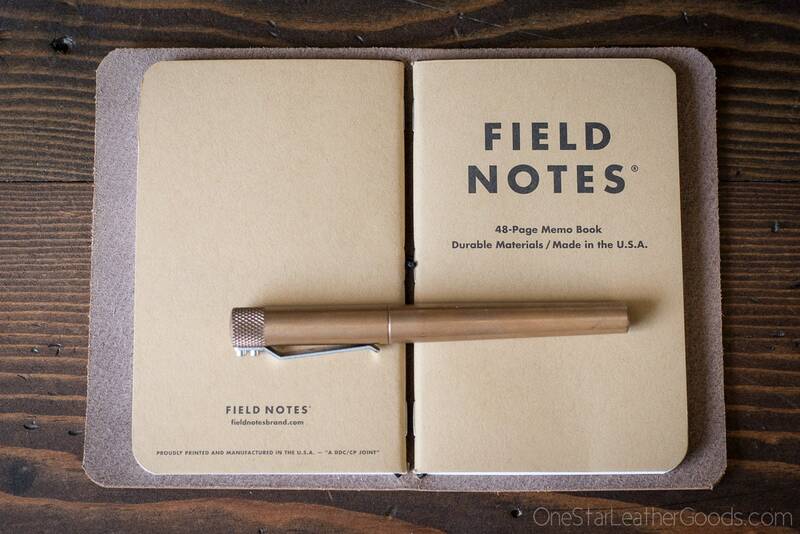 You can fit 1-4 notebooks in there comfortably depending on their thickness and the whole thing is kept tidy with an elastic closure. The elastic is easily replaceable. Ships with a notebook. 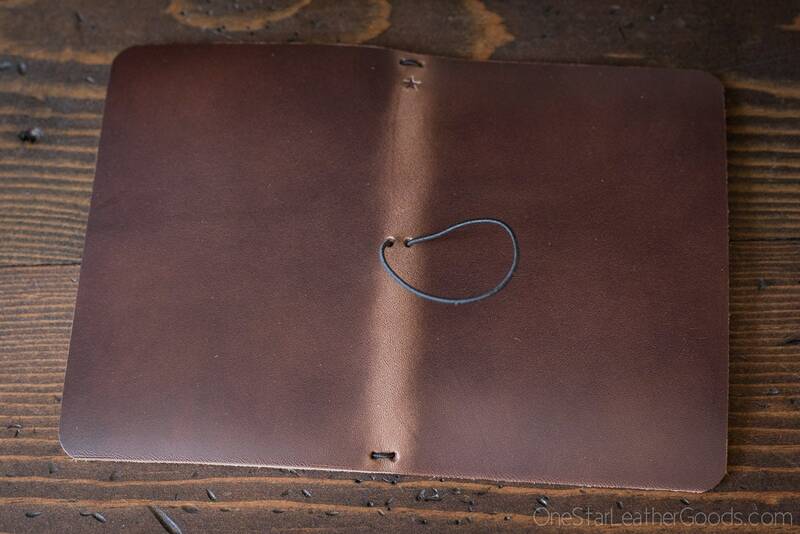 This is a great notebook cover! 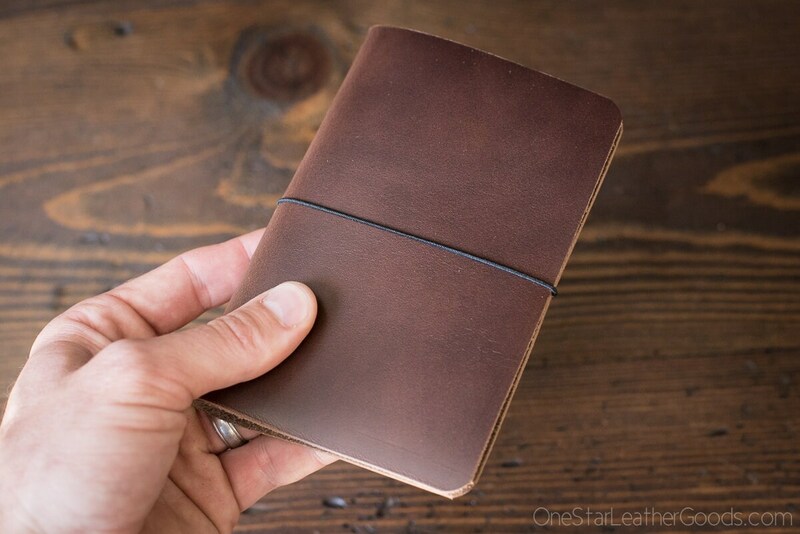 Perfect size for back pocket carry. I keep one 48 page notebook of Tomoe River paper in it and I barely notice it's there. The cover has two elastic bands, and I'm sure carrying two notebooks would be fine, but I prefer to have just one at a time. Shipping was on time, and I've always had a fantastic experience in terms of customer service. Really well made and simple, exactly what I was looking for. Feels like I could carry it the rest of my life.